These last couple weeks have been a little hectic, and a lot cold! 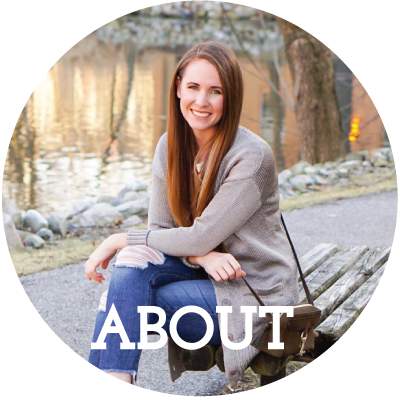 So formal blog photo content is a little scarce. That being said, I have a few work outfits to share and a few other fun odds'n'ends. I wore this look to work a little while ago, and then posted the 'who wore it best' poll on Instagram, and it wasn't even a competition. Ha! Sherlock won by a landslide, as he should've. I also wore this outfit to work a week ago on Thursday. I had zero meetings, and decided to see if anything bad happened if I wore jeans to the office to literally sit at my desk all day. Spoiler, nothing happened. Nobody cared. I stumbled upon Margaux shoes looking for the perfect navy flats. Then I fell in love with the navy suede heels. I think I may pull the trigger on those this month, and if they're as amazing as I hope, add the ballet flats in cognac or pale pink next month. What do you think? I've stayed pretty consistent about going twice a week, and I just bought a whole year membership, so if I wasn't committed before, I am now! I took a lead climbing (climbing where you clip the rope in yourself as you go, rather than having it anchored at the top of the wall) class a few weeks ago too, I just need to take the plunge and test for my certification. I took a pretty rough fall during class though, so it's a matter of building my courage back up. Hoping to complete it this month! $35 orange print crepe dress - I sized up to a 6 in this for my shoulders. The fit was good, but the neck felt constricting, and I'm super picky about how my clothes feel, so it was a pass. I loved the color and pattern though. $25 orange fine knit sweater - I went with a small in this style, and it was good. Just a touch thin and not as soft as I like my sweaters. I passed, but I may return to pick it up because I've been looking for an orange sweater for awhile with no success. $40 tweed skirt - this I loved! However the 8 felt a little tight across my hips for the office and they didn't have a 10 to try. For reference, I typically wear a 4, so this definitely ran small. It was adorable though, I may need to order the size up online. It also has a matching jacket but I found it excessively boxy. $50 orange/blue sweater (not online) - this was cute and super warm, but just not worth the $50 pricetag to me. $40 pearl embellished jeans - these I also loved, but I literally couldn't even sit down in this size and they didn't have the size up in stores. I tried a 27, and needed the 28. Sadly they're not available online yet, otherwise I would absolutely order them. 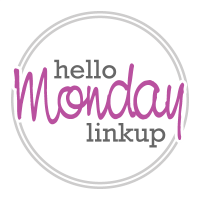 Whether it's fashion, lifestyle, fitness, food, or DIY, share your latest musings with the Hello Monday Linkup! We just ask that you link back to the hosts within your exact blog post and throw a follow our way on Instagram or Bloglovin'. Thanks for linking up! Oh love the print mixing with your neck scarf in your office outfit! I wish I could pull of the neck scarf look! Hope you had a great weekend :) With the heatwave starting we had a quiet one. So hot today, ugh! OMG, Sherlock is the cutest thing ever! And your H&M try-ons are all so good! Have a great week. haha! I LOVE it! I must have missed that Instagram post. That's hysterical! I've been need a new pair of flats for spring! You have some great suggestions! Some great looks, and you AND on Sherlock! The "who wore it best" is hilarious, Jenna. Thanks for the link-up! Your layered look with a blazer, cardigan, stripes, and silk scarf is perfection! I just love the pop of yellow! Indoor climbing looks fun but also a bit scary! I love the tweed skirt and pearl embellished jeans you tried on, shame they didn't fit right. Hopefully you'll be able to get them online. I'm a sucker for silk scarves! Love how you added yours to that business casual work wear!